The Congress Sunday said it was not in talks with the AAP or any other party for alliance in Haryana and Punjab, and will soon declare its candidates for the two states. Congress' chief spokesperson Randeep Surjewala said the party is yet to reach a decision on stitching an alliance with the AAP in the national capital. 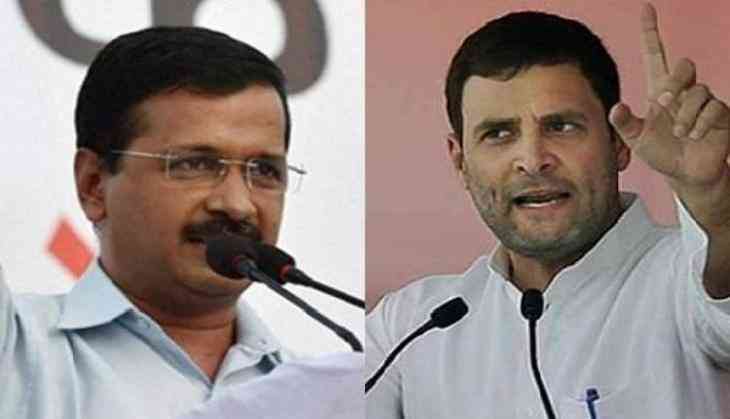 On Saturday, an AAP leader said the party will firm up an alliance with the Congress in Delhi only if Rahul Gandhi's party agrees to fight the Lok Sabha polls jointly in Haryana and Chandigarh too. "There's no talk on alliance with any party, including the AAP, either in Haryana or in Punjab. We are soon going to declare our candidates (for the two states)," Surjewala said Sunday at a press conference where the Congress unveiled its campaign slogan for the 2019 Lok Sabha polls -- "Ab Hoga Nyay". "The party is yet to reach a decision on forging an alliance with the AAP in Delhi," he added. Congress president Rahul Gandhi had Saturday discussed the issue again with his party leaders from the city. Delhi Congress president and former chief minister Sheila Dikshit, All India Congress Committee General Secretary and in-charge of the party's national capital unit P C Chacko and some other senior leaders were present at the meeting held in Gandhi's residence. As another pre-condition for firming up an alliance, the AAP has asked the Congress to openly declare its support to full statehood for Delhi. The AAP has reportedly conveyed to the Congress that it would support the grand old party in Chandigarh if it gets to contest three seats in Haryana - Faridabad, Gurgaon and Karnal.